Separate shoes compartment from gym clothes, easy to change clothes. Enough room for basketball and gym clothes. 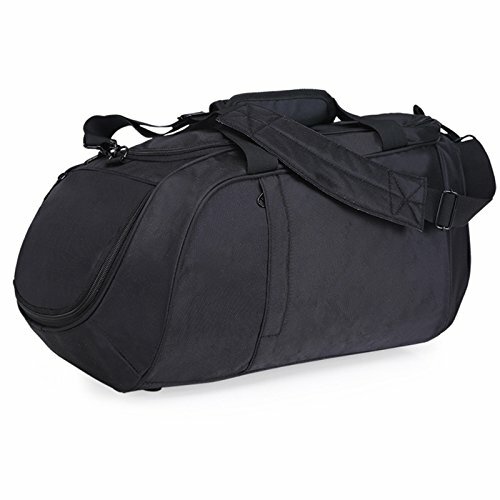 Dual-use duffle bag with handles and a detachable shoulder strap. Right size, no bulky, durable quality, great for quick gym visits. Features: special design with separate shoes compartment, easy to change costumes. Durable: Dual-use duffle bag with handles and a detachable shoulder strap, easy to carry.